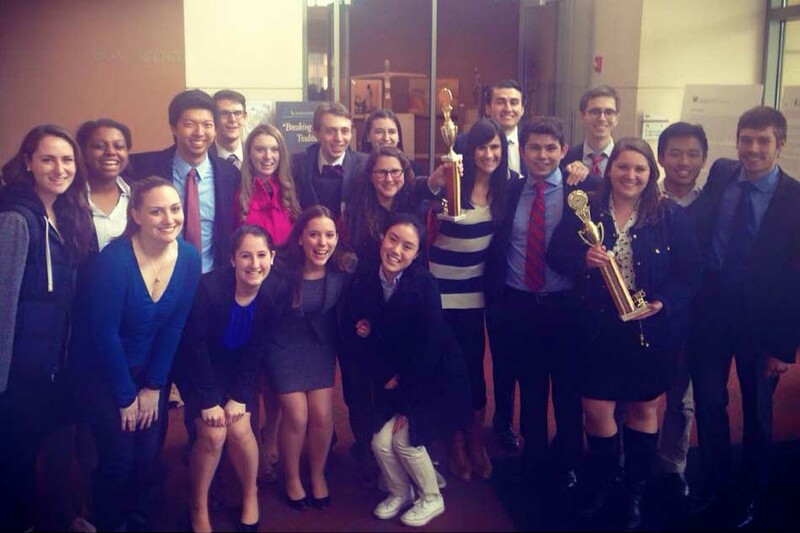 Northwestern’s Mock Trial A-team and B-team pose after a competition in Naperville, Illinois, last month. The two teams will be competing with 46 other teams in the American Mock Trial Association’s National Championship Tournament in Cincinnati this month. Northwestern’s Mock Trial program will be one of only five programs in the country to send two teams to Nationals in Cincinnati this month. Although NU usually sends teams to Nationals each year, no teams made it last year. This is the first time since 2009 two out of the four NU teams — the A-team and the B-team — have made it to the American Mock Trial Association’s National Championship Tournament, which will take place April 17-19. “The other programs sending two teams are historically very strong,” said Mock Trial President and Weinberg junior Christopher Erickson. Along with NU, the programs sending two teams this year include University of California, Los Angeles; University of California, Berkeley; Vanderbilt University and Rhodes College. Although Erickson said there have been no major recent changes to the club, he said the teams’ hard work and experience had led to its success. Brooke Troutman, one of the B-team’s co-captains, said this year’s competition varies from previous years because it is the first time the teams will get a new case just for Nationals. In the past, the SESP junior said the case was the same throughout the entire year. This case — which focuses on election fraud — is simpler than traditional cases because teams had only a couple of weeks to prepare, Erickson said. All 48 teams will present this new case for the first time later this month. Troutman said she is particularly proud of sending two teams to Nationals after NU didn’t send any teams last year. Weinberg freshman Hannah Givertz, a member of the B-team, had no prior mock trial experience before NU. She said the support of the captains and coaches has been really helpful in building her team’s chemistry.